2018 is likely to be another competitive year for marketers. We share how you can get ahead with your social media reach. In affiliate marketing you can never rest on your laurels, it’s crucial for your success to be one step ahead of the game. As we enter 2018, the focus for social media is on paid advertising, yet growing your reach organically should never be under-estimated. One of the big advantages of using organic methods is that it builds relationships with your prospects, leading to long term loyalty. Certain social media trends are likely to hit the headlines in 2018; make the most of these by using them tactically to build your followers on social media, without spending a fortune. Everywhere you look on social media, you’ll find a video, and with good reason, people love them. From a marketer’s point of view, they are easy to share, and nothing helps you to grow your reach like a viral video. This trend is set to continue well into 2018, and although YouTube dominates the video race, Facebook’s live streaming will make a big impact moving forward. According to SocialMediaToday, Facebook videos get 135% more organic views than photos. This trend is thought to escalate well into the 2020’s, when 80% of internet content will be via video. Plan ahead and consider subjects for videos that will capture your audiences’ attention, whether you are producing your videos in advance or streaming live. In the days before the internet, authors asked well-known people to write a forward for their book, and in doing so, give their seal of approval to the offering. Asking influencers to spread the word is nothing new, but it will continue to play a big part of growing your organic reach. However, the focus will likely be on working with true authorities who genuinely believe in your product or service. Instead of considering it in terms of ROI, consider your ROR – return on relationship – or the value created by the nurturing process over time. The story telling technique has been used very successfully to date. Instagram has had outstanding accomplishments with this concept, as has Snapchat, so why not use this to your own advantage? Create stories on social media about the products you’re promoting, exploring the different story platforms on offer. Instagram and Snapchat are continually updating their stories features, providing additional ways to creatively produce content. The age of the robot is on us, so use it to your benefit. Good customer service is always rewarded, and if you find yourself repeatedly answering the same queries introducing a chatbot to help with these not only frees up your time, it also provides a point of contact. Improved technology is likely to make this more mainstream in 2018, keep an eye out for further developments with this technology. 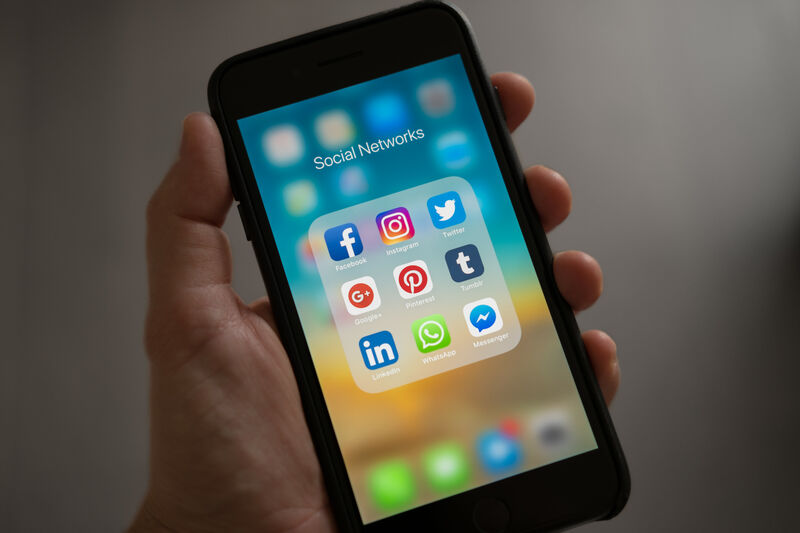 Many companies make the mistake of using their social media as a sales pitch, instead of seeing it as an opportunity to connect and build relationships with your customers. Of course, social media is a great stage to showcase your products, but it’s not limited to this. Connecting with your customers throughout the whole buying process, and offering guidance and advice as they move forward is a unique aspect of your social media platform. Use it wisely and you will see your customers returning time and time again to buy from you. Publishing your posts is the easy part of social media, but It’s your responses and interaction that create the magic. When a prospect comments on something you’ve written, always respond. You’ll build a better relationship, brand awareness and loyalty, while positioning yourself as an expert in your field. These same readers will continue to follow you, which, according to the Social Habit, when readers follow you and interact with you on social media, the loyalty to your brand is increased by 53%. According to WalkerSands Communication, social media management tools were the most popular technical items used in 2017, and there is no sign of this slowing up just yet. With good reason too, as they provide a convenient way to post. With many brands working globally, time scheduling for optimum readership is a breeze. With a range of tools on offer, including Hootsuite, Sendible, CoSchedule and more, there’s no excuse to not schedule your posts in the best way possible to increase your organic reach. Social media is nothing without content, but to make it work you need to post quality content that your prospects want to read and share. On Facebook, for example, the more your content is read, the more it will be displayed. To maintain engagement ring the changes as well, variety really is the spice of life. Readers love transparent posts, those that show the brand as a real person, not just a company. Write your content from a personal perspective, using stories to emote your readers. Use evergreen content – content that is always current – and recycle it several times a year to get it in front of a new audience. Monitor which posts get the highest audience and interaction, and re-post on a regular basis. It’s also worth keeping an eye on your competitors and monitoring the type of content that gets a good response. Also, pay attention to the timing of posting by using analytics such as the Facebooks insights feature to determine what is working well. If you watch how many people interact with your posts, you’ll notice the number is always higher when you include an image. Use pictures that tell a story or generate an emotion in others. People also love sharing images with quotes, but don’t use stock quotes – make up your own with your website link on the image. It’s well known that you can target your paid ads to a particular audience, but you can also get your posts in front of the right people organically. People who are genuinely interested in what you have to offer are more like to like, share, and comment. Social Report have written an excellent guide on how to set this up. Whichever methods you choose, remember it won’t magically happen overnight. You need to be consistent, keep at it on a regular basis. and eventually the snowball effect will start to kick in. You won’t see instant results compared to paid advertising, but the customers you win organically will already have a great relationship with you, and they will be loyal to you for years to come.